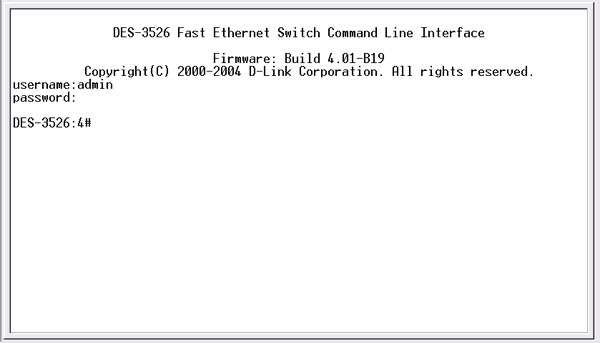 How do configuration VLAN to my DGS-3600 series switch? 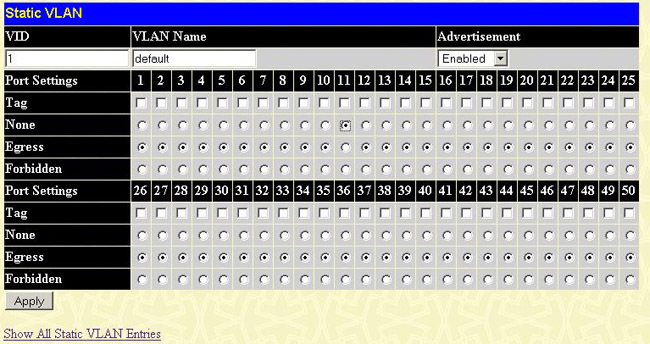 Step2: Choose the menu L2 Features->VLAN->Static VLAN on the left hand side. Step 3: In the row for VID 1 click the Modify button. 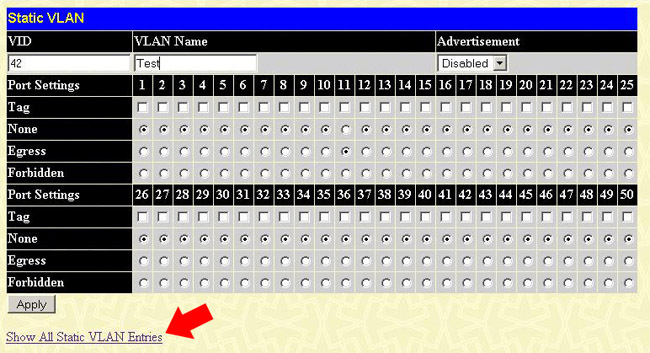 Switch any port that will be untagged on your new VLAN to the None radio button for that port. Click Apply when finished. 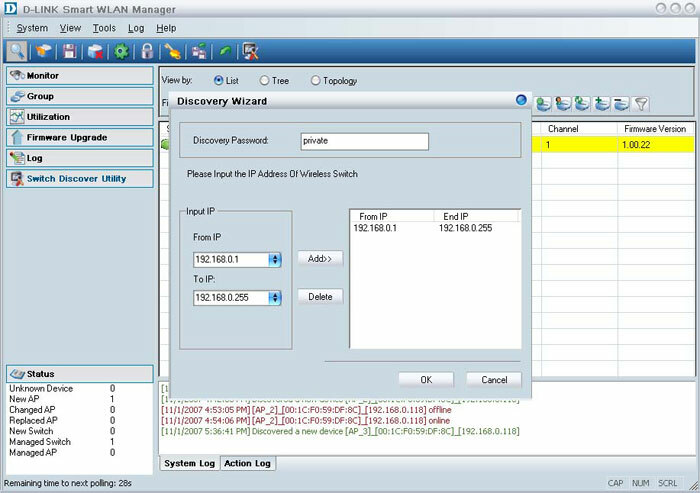 Step 4: Click the Show All Static VLAN Entries link. Click on the Add button. Enter your desired VID and VLAN Name for your new VLAN. Any port you wish to be a member should have its Egress radio button selected. Untagged members require no further modification. Tagged members must also have the Tag check box checked. Hit Apply when finished. 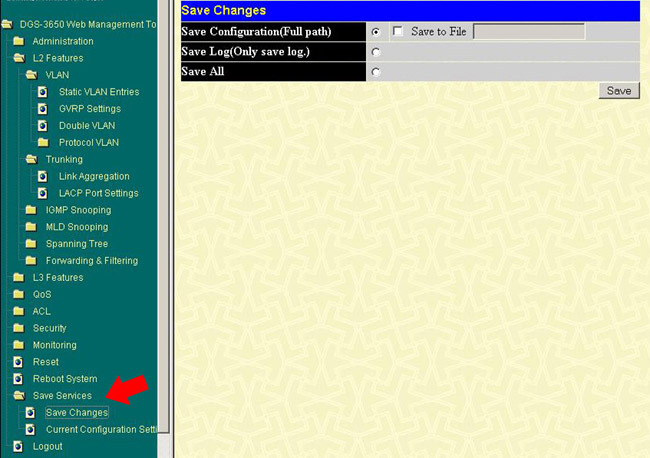 Step 5: Select the menu Save Services->Save Changes. Click the Save button. 1.What D-Link products support the 802.3af(POE) protocol? 802.3af, also known as Power over Ethernet(POE), defines the standard for building Ethernet power-sourcing equipment and powered terminals. 2.Does the D-Link PoE switch or adapter support PoE device? When using a D-Link PoE adapter or Switch please ensure the device you are using is compliant with IEEE 802.3af standard. D-Link can not support any device used with a PoE switch or adapter that is not 802.3af compliant, using the switch or adapter with a device that is not 802.3af compliant may cause damange to your device and it is strongly reccommended that you disconnect the device and discontinue use of your PoE device with the D-Link PoE adapter or switch. 3.Why does TeraTerm SSH lock up my DES-3828/DES-3828P? This only happens when using an older version of TeraTerm. Please ensure that your computer is running TeraTerm SSH version 3.1.3 or higher. You can download a free copy of TeraTerm SSH at http://www.ayera.com. Step 1: Login to the DES-3526 via Console. 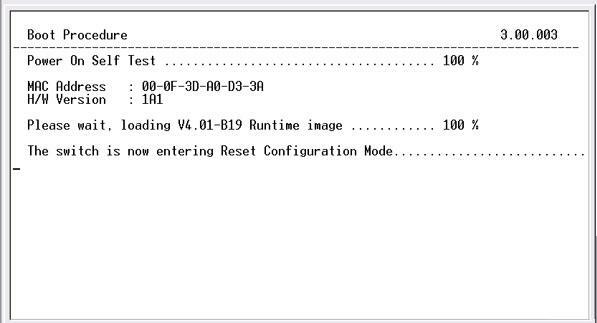 For the complete procedure on logging into the management interface via Console, Power cycle the device by pulling the power cable located on the rear panel of the device and reconnecting the power cable. Step 2: At the boot sequence, immediately after the Please wait, loading Runtime image… process completes, press the Shift and 6 Shift+6 keys on the keyboard simultaneously. The device will now enter Reset Configuration Mode. 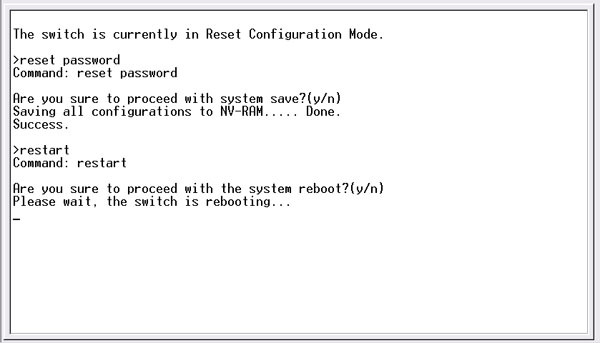 Step 3: At the Reset Configuration command window, type the command reset password and press Enter on the keyboard. Press the Y key to proceed with the system save. Type the command restart and press Enter. Press Y to reboot the DES-3526 after saving the changes. Note: In the Reset Configuration Mode, you may also reset the device to factory defaults by executing the command reset factory. 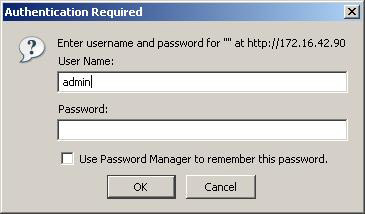 Step 4: All administrator account passwords will be deleted. You will now be able to login to the D-Link DES-3526 without a password. Note: If you have reset the unit to factory defaults, there is no administrator user name and password by default. This article teach you how to config a DWL-3140AP with a DES-1228P. Step 1: Upgrade the firmware on the DES-1228P to the latest version. 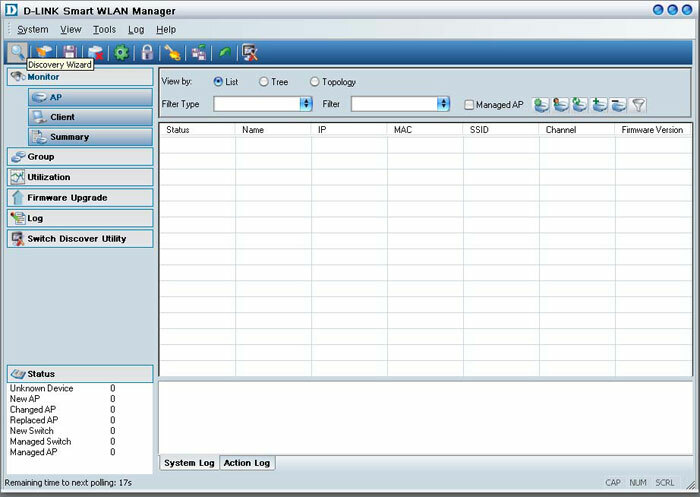 Step 2: Download and install the latest Smart WLAN Manager software. Step 3: Connect the DWL-3140AP into the DES-1228P (make sure the power and LAN LED turn on). 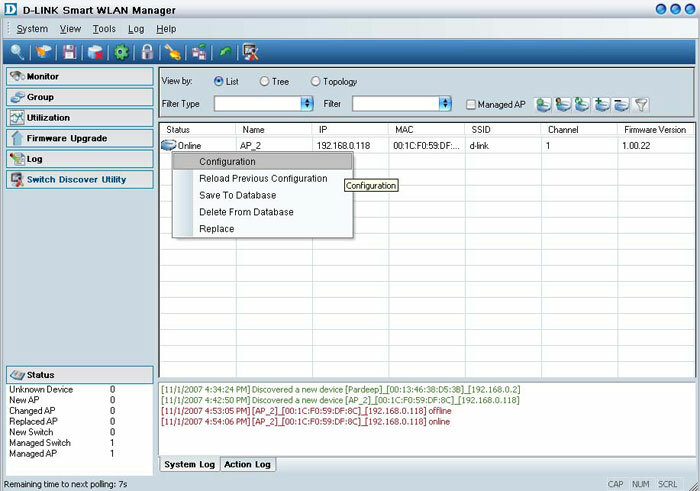 Step 4: Run the Smart WLAN Manager software. Click on the Discover Wizard button on the top left corner if the software doesn’t detect the DWL-3140AP right away. Step 5: Enter the DHCP IP pool range and then click on Add. Step 6: Select the discovered DWL-3140 and click on Save. Step 7: Right click on the access point you wish to setup and select Configuration. This is where you can configure the basic settings such as the IP address and SSID.